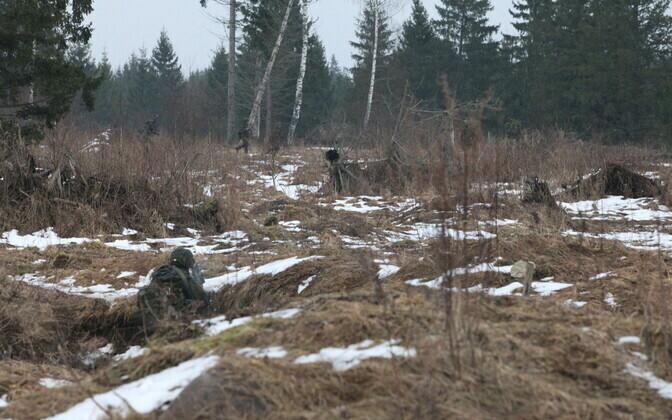 A conscript belonging to the Estonian Defence Forces' (EDF) Viru Battalion died of a self-inflicted gunshot wound during a shooting exercise in Ida-Viru County on Wednesday. EDF spokesperson Simmo Saar told daily Postimees that the tragic incident took place at Sirgala Training Ground, where conscripts were participating in a shooting exercise with automatic rifles. The conscript shot himself while handling an automatic rifle; he died from the inflicted gunshot wound. The young man had entered into conscript service two months prior, the paper reported. A criminal investigation has been launched, headed by Viru District Prosecutor's Office and conducted by the East Prefecture of the Police and Border Guard Board (PPA). According to Viru District Prosecutor's Office spokesperson Liivi Reinhold, it is clear that the incident is neither an accident nor someone's ill will. "The conscript shot himself and died from the wound," Reinhold told BNS. "Currently we have no other versions." The criminal investigation was launched in order to determine the details of the incident, the spokesperson added. The EDF have notified the conscript's next of kin and offered them their deepest condolences.